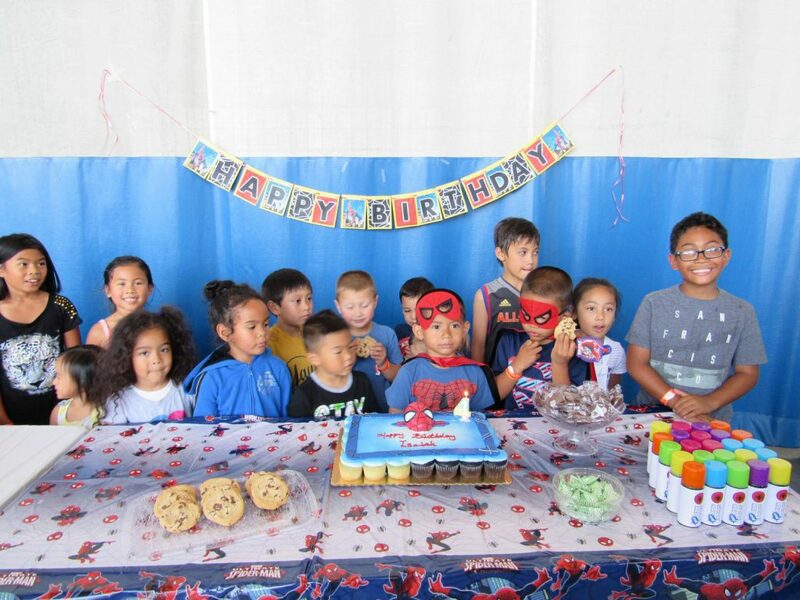 Two parties in six days, that was my life this past week. 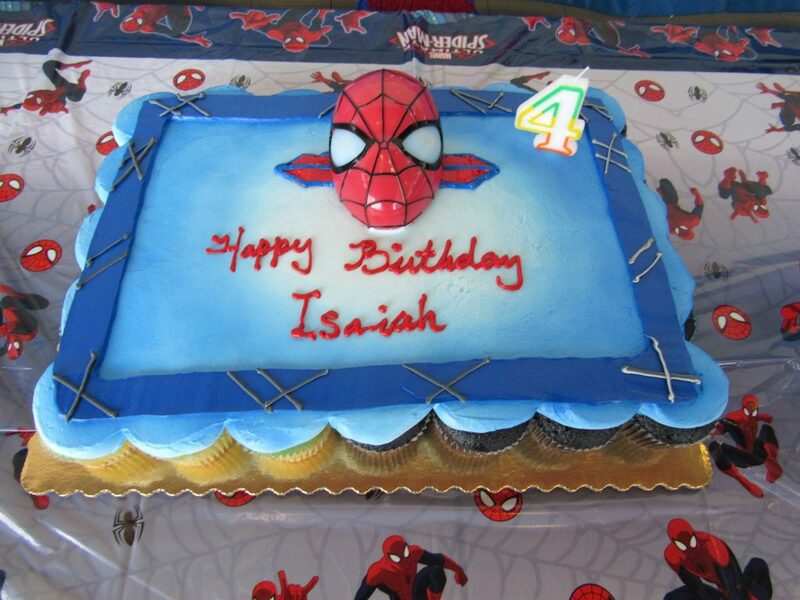 We started with TMNT for my 5-year old, and finished the birthday week with SPIDERMAN for my now 4-year old. We chose to have this party at a complex near us, called Bladium. 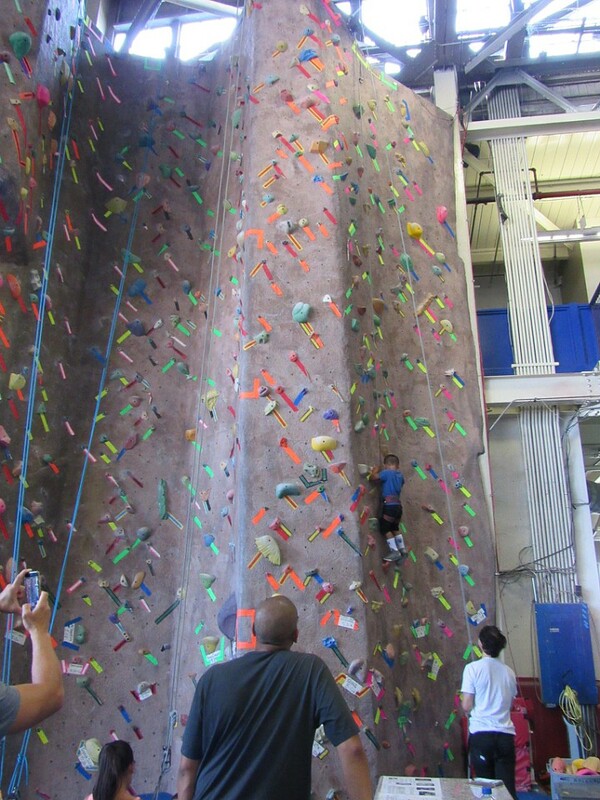 The nice thing about Bladium is that you can choose what activities the kids can do during your party. 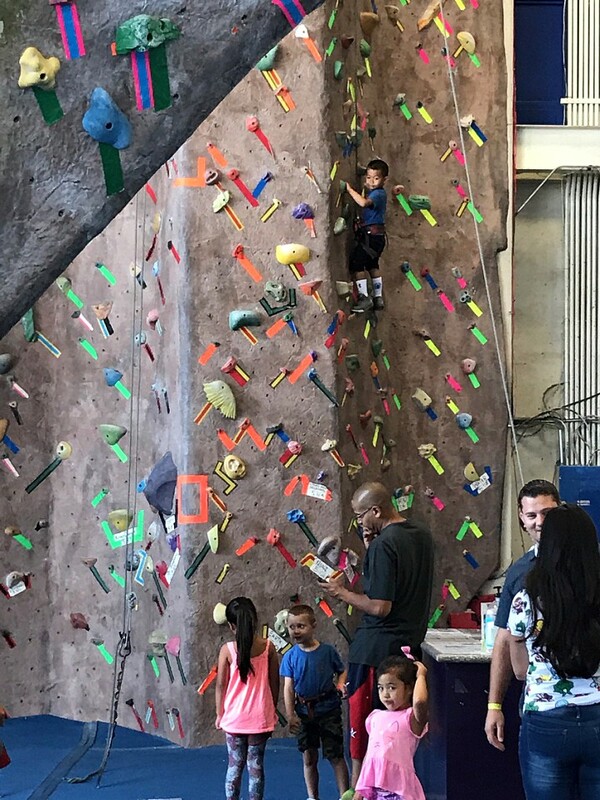 We chose Rock Climbing as our main activity the first hour, then for the second hour they moved us into another area where the kid’s had use of the basketball court and a giant inflatable slide! 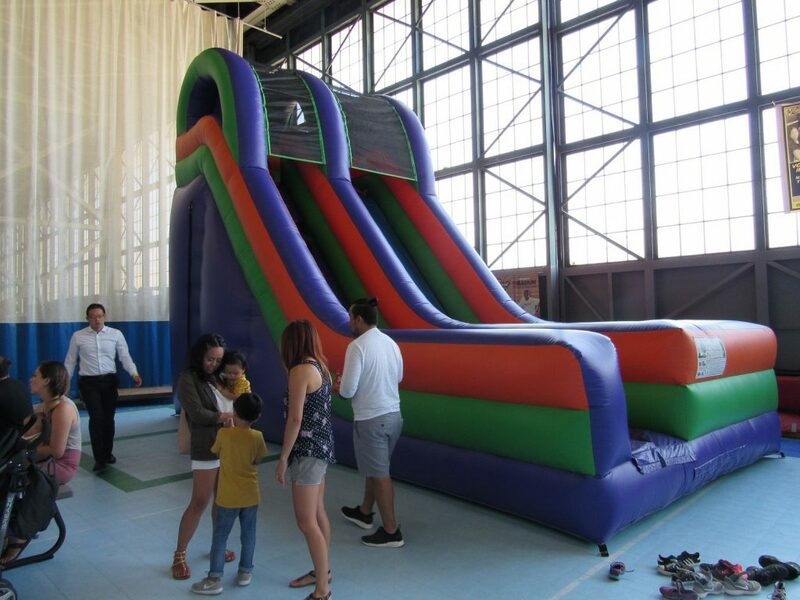 At this venue, all the parties are done in 2 hour blocks and they include pizza and drinks for the kids. I liked that they allowed us to bring additional food (aside from pizza) to serve to our guests. They assign you a party host who stays with you and watches all the kids during your event. When it came to the cake, I got ours at Safeway and elected for the cupcake cake! We had both white and chocolate cake and what I like about these cakes is that you don’t need a knife, just pull it apart! 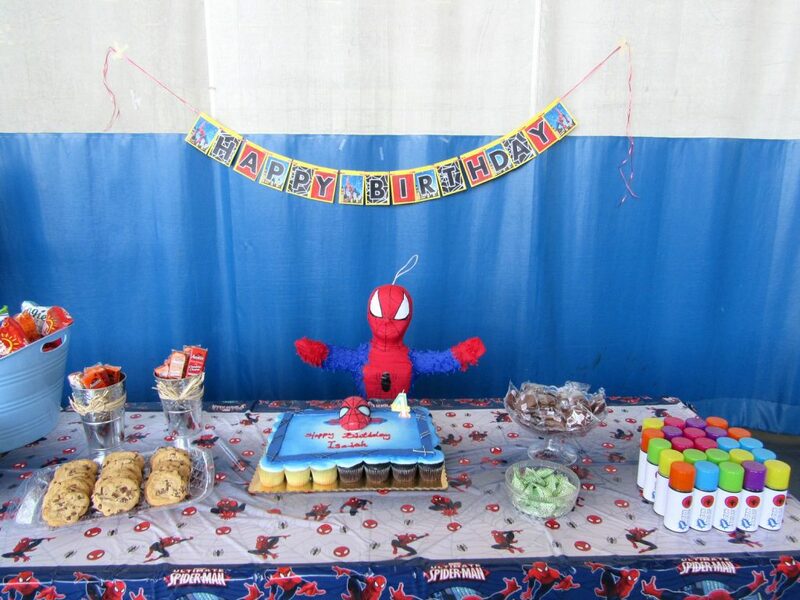 I didn’t go all out on decor for this party, I had a themed tablecloth, plates and napkins…but I did make the “happy birthday” banner that I found at this website. 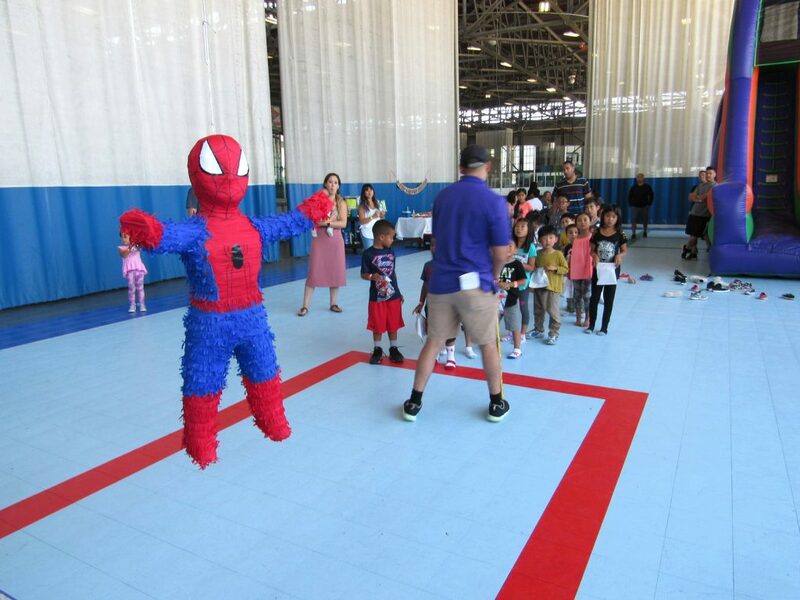 What I did do though is get a pinata, which was hung from the basketball hoop and it was a big hit with all the kids! 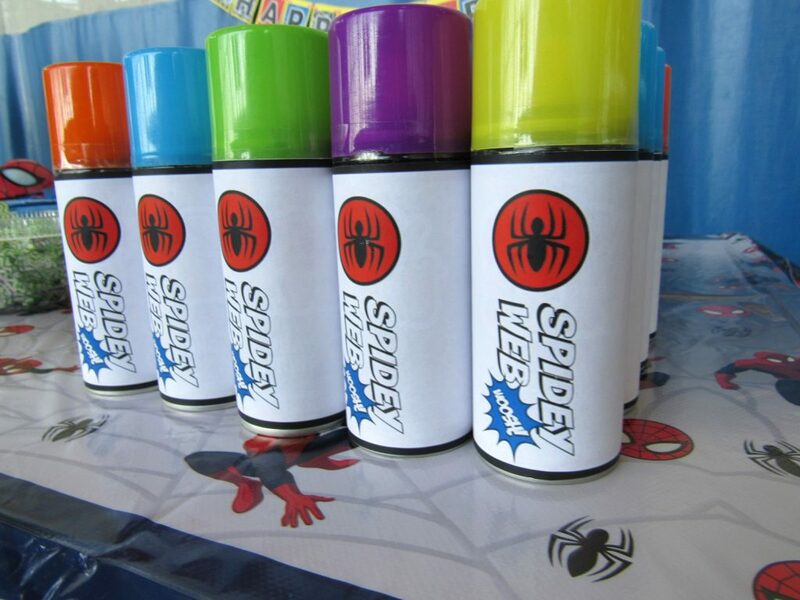 We also sent pour guests home with their own “Spidey Web.” I picked up Goofy String from Dollar Tree and transformed the cans with this printable. It was super easy and a big it with the kids..I just had to politely ask them to wait until they got home to start spraying! 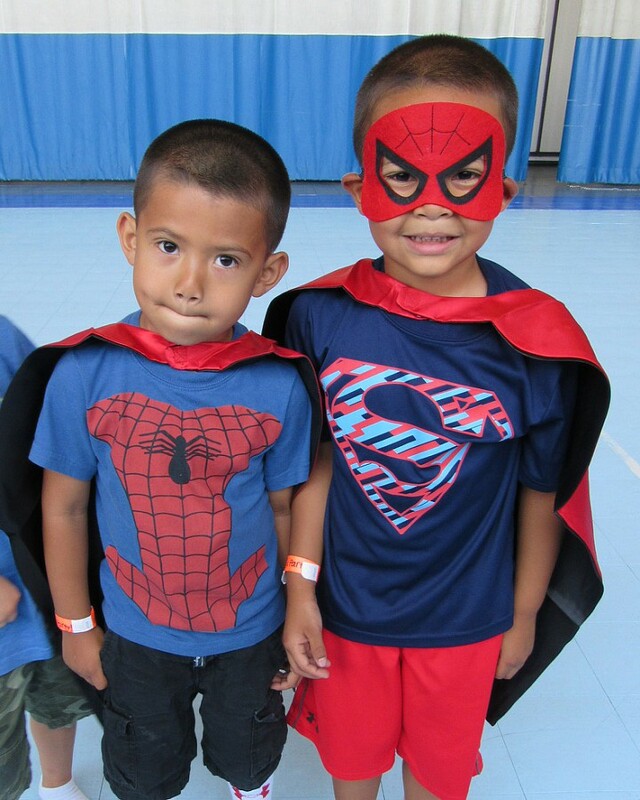 So, now I’m birthday party planned out…until next year, I’ll have two very happy super heroes!